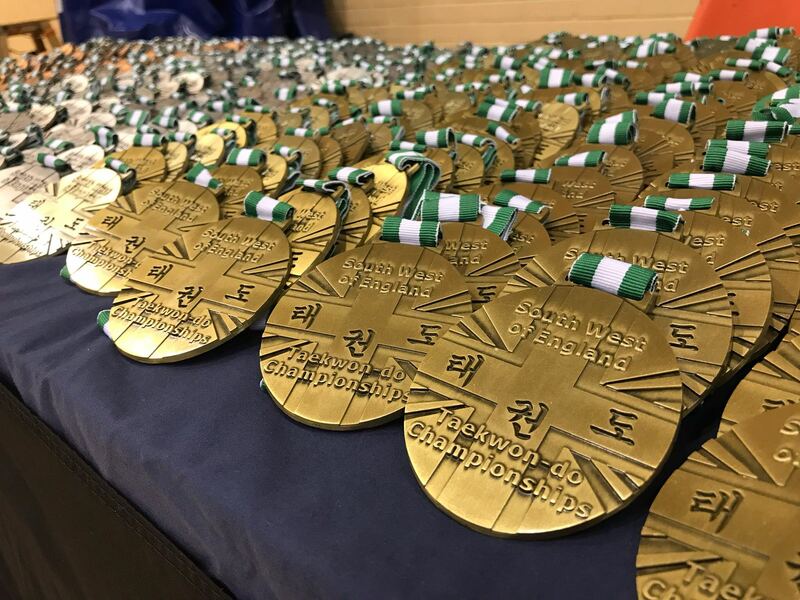 Torbay Leisure Centre in Paignton Devon was the venue for the SW Open Taekwondo Championships last Sunday. 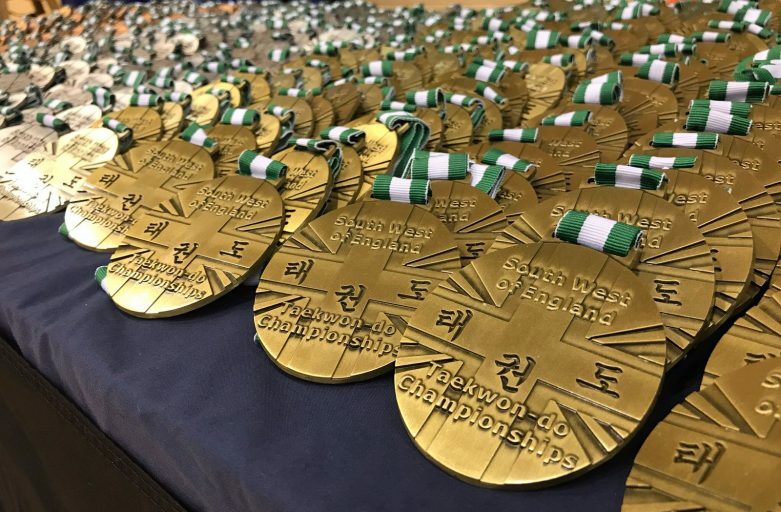 Over 300 competitors from 23 Taekwondo schools took part in the days events. The event was hosted by local Torbay Taekwondo Schools Instructor Mr Grant Churchward VI degree. This was the 10th year of running this successful event here in Torbay. Divisions were split into age groups, 4 – 7yr olds Little Dragons, 7 to 13yrs Cadets, 14 to 17yrs Juniors, 18 to 35yrs Adults and Seniors 36yrs+ . Also split further down into experience belt ranks ie Blackbelts together and male & female separate. The competition events included patterns and sparring for everyone of all ages and belts. Along with Power testing for juniors, adults & seniors, to see who can break the most boards with a given technique. Also 2 agility events for Little dragons, Cadets & Juniors, which were high kick (kick the highest to hit a target with good balance) and long kick (run and jump for distance to hit a target and the land). Photos of the day can be found on our Facebook page linked to our website https://www.facebook.com/TorbayTaekwondo/. 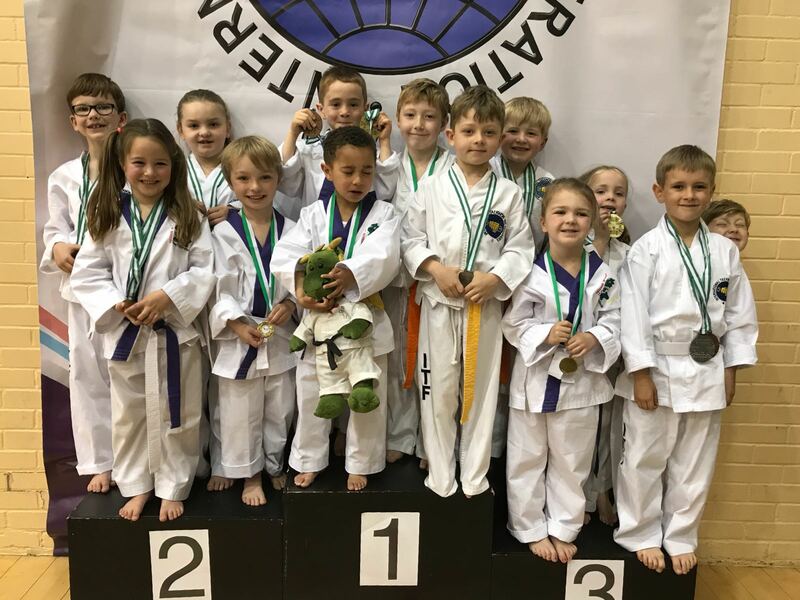 The 2 pictures show our Little Dragons section 4 to 7yr olds (below) and some of the rest of our students (above) with the medals they won on the day. Miss Dunne the Little Dragon Co-ordinator was very happy and proud of the fun and successful day they had. We would like to thank everyone who took part in the days events and also a big thank you to all those who helped umpire and ref throughout the day to make it such a success. 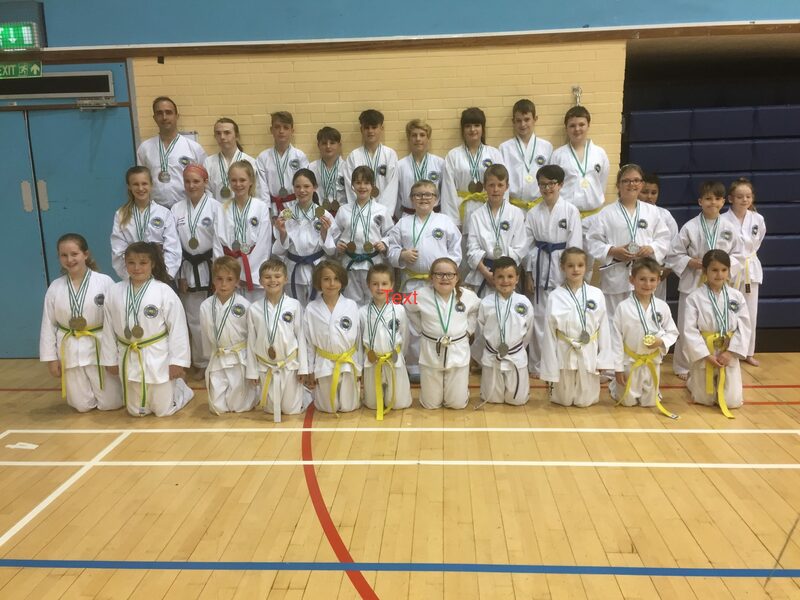 Finally to the Torbay Tkd Team without which Mr Churchward could not run this great event, Thankyou each and everyone of you!